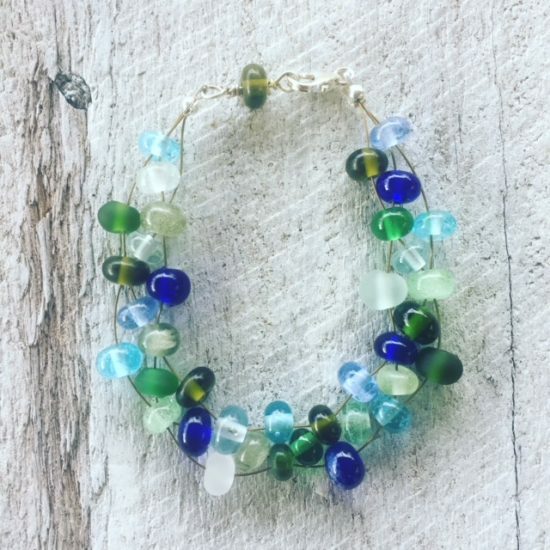 Today as I was unpacking all of the beads that I took to T’Arts yesterday, I was also thinking “what on earth am I going to make today?” Sometimes I am a bit more organised than this when it comes to my daily challenge to make a piece of jewellery from recycled glass. Sometimes I have beads made from the previous day that are ready to make into jewellery. And sometimes, I’m just a bit behind, and it kind of forces me to look at what I have on hand, and what I can make from that. I find this way very stressful, but it has also resulted in some nice pieces of jewellery too!